Use 1-2 teaspoons in your favorite Apple or Peach Pie recipe instead of plain cinnamon. Also good in: Cakes, Custards, Apple Dumplings, Cobblers, Crisps, Rice Pudding, Tapioca, Apple Sauce, Apple Butter, Pears, Peach Jams & Conserves, Grape Butter, Apple Fritters, Pancakes, French Toast, etc. Shake on this sweet, smoky and bold blend of spices for a classic barbecue flavor on chicken, pork or steak. Shake 1 Tbsp. seasoning per 1 lb. of meat before grilling or broiling. Can be used for barbeque sauces, used as a marinade with oil and vinegar, or rubbed or sprinkled on Meats. Often used for seafood (e.g. crab, shrimp). 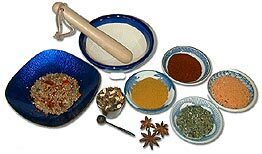 Celery Salt, Mustard, Red Pepper, Black Pepper, Bay Leaves, Cloves, Allspice, Ginger, Mace, Cardamom, Cinnamon, Paprika. Salt, Spices, Garlic, Paprika, Onions. Spices, Paprika, Red, Black & White Peppers, Oregano, Salt, Onion & Garlic. For meats, Poultry & Seafood up to 1" thick. Preheat dry cast iron skillet until very hot (10-15 minutes). Brush meat with unsalted butter, then coat both sides generously with Blackened Seasoning. Cook each side until blackened. Use to add jazzy flavor to eggs, salads, vegetables, soups and stews. Great as a BBQ seasoning. THis is highlighted by accents of fennel seed and French Lavender and enhances the flavor in any cut of meat. Prefect for use on steaks, ground meat, prime rib, veal and lamb-just sprinkle on while cooking and enjoy its unique flavor. Also tasty on poultry, seafood, vegetables, soup, rice, beans and pasta dishes. Celery Seed, Spices, Onions, Salt, Maltodextrin, Garlic, Corn Syrup Solids, Yeast Extract, Natural Flavoring, Raisin Juice, Corn Gluten , Refiners Syrup, Yeast Extract, Tomatoes, Vinegar, Molasses, Orange Juice, Sugar, Onion Juice. Salt, Brown Sugar, Spices, Red Pepper, Oregano, Basil, Red Pepper, Sugar, Onion, Tomato, Red Bell Pepper, Tomato Sugar, Corn Starch, Garlic, Onion, Gum Arabic, Red Bell Pepper, Molasses, Paprika, Vinegar, Tamarind, Whiskey Solids. A savory blend of garlic, herbs and spices. Add 1 Tbsp seasoning per pound of chicken or other meat before grilling or broiling. Chili Con Carne, Southwestern Chili Beans, Spicy Dishes, Salsas. 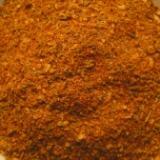 Our Chili Blend Powder is a basic chili powder, commonly used in the USA. It has a mild dark-red color, and is best stored in the refrigerator to preserve both color and flavor. Chili Peppers, Cumin, Garlic, Salt, Oregano, Coriander, Allspice, Cloves. 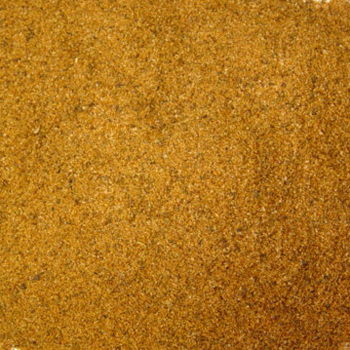 A fine grind of various ingredients in equal proportions, Chinese Five Spice is often used in meat marinades and as a spice in barbecuing. A smoky blend of chipotle peppers, tomatoes, garlic & onion. Spices, Sugar, Dried Onions, Salt, Garlic, Maltodextrin, Corn Syrup Solids. 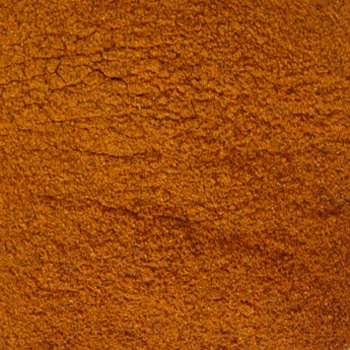 Our hot curry powder is a blend of traditional India spices that offers a flavorful culinary experience. Has a hotter chili (red pepper) than used in the regular curry powder. Our curry powder is a blend of traditional India spices that offers a flavorful culinary experience. Our regular curry powder has the same great taste as our hot curry powder, without the extra heat. Tumeric, coriander, fenugreek, cumin, black pepper, ginger, mustard, fennel, red pepper, allspice. Add mouthwatering flavor with this blend of herbs and spices. Measure about 2.5 Tbsp per pound , then rub onto steak, pork or chicken. Sprinkle the rub onto fish. THen grill, broil or saute. Anp up the flavor! Rub on chicken or salmon. Season burgers, pork chops or steaks before grilling. Also try on mushrooms and potatoes. Discover the key to an outstanding hamburger. Sprinkle on your burger before grilling or mixing into the meat and form into patties. If blending with the burger patty, use about 2 teaspoons per pound of meat. Gluten Free. The American Indians gave us File powder, which is produced from the leaves of the natice sassafras tree. File is added to gumbos and soups after they are cooked, just before serving. File will thicken and add a very delicate flavor to any gumbo or soup on which it is sprinkled. A Savory blend of red bell peppers, onion and garlic adds flavor to your backyard grilling. Add 1 Tbsp. seasoning per pound of ground beef, turkey, chicken or veggie burgers before grilling. A fast easy way to add aspark of flavor to anything you grill. This is our custom house blend. This spice mix combines sweet French herbs and lavender with flavorful Italian herbs. Authentic, commonly used blend for stews, meat dishes, and sassy sautees. A cornucopia of hot, sweet and citrus flavor to add a salt-like pizzaz to everyday foods. No sugar, no salt, no MSG. 100% All Natural. Pasta Sauces, Salads, Meat Dishes, Soups, Salad Dressing, Vegetables. A salt-free blend of fine cut Italian herbs. Contains no additives.